Beautiful ocean views and Portsmouth NH. Mostly flat with a few small hills. 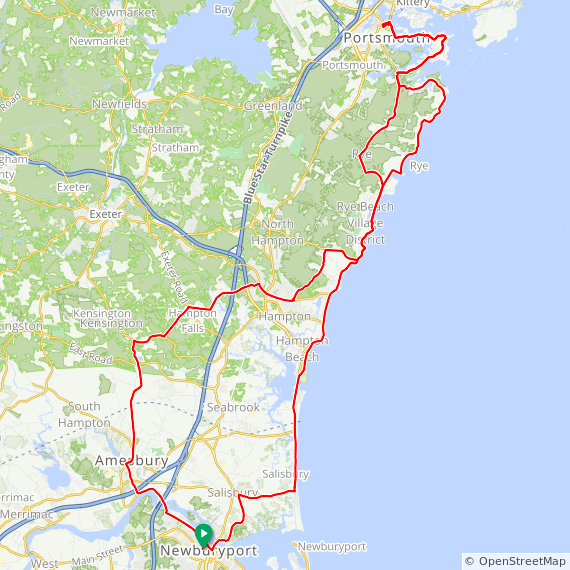 All rides feature NH coastline on the first half. 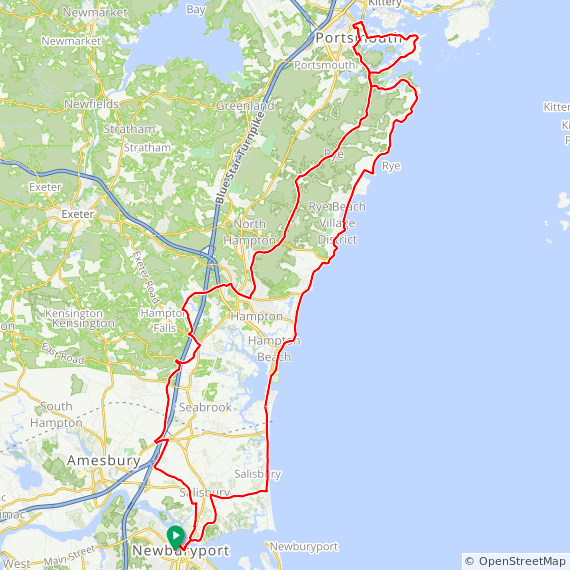 The return from Portsmouth has options for coastline and NH countryside.